Student election judge Charles and I pause for a photo outside his polling place in North Lawndale. I am a dedicated and resourceful social studies teacher with a passion for building connections between the classroom and the outside world. My pedagogical approach emphasizes authentic assessments which encourage students to excel both as individuals and as part of a team. I believe that learning does not stop with a diploma. 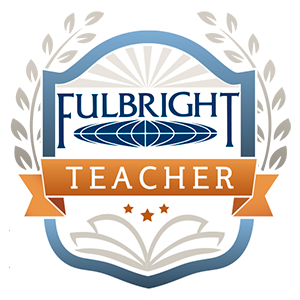 I became a National Board Certified Teacher in 2017, and am a 2017-2018 Fulbright Distinguished Awards in Teaching Fellow. I spent the first half of the year working with researchers, educators and students in Aotearoa New Zealand, and am happy to be back in the classroom applying my learnings once more in Chicago.